Jose Mourinho is back for Chelsea, and we preview his side's chances in the Barclays Premier League next season. We will be rating each position in their squad with old-school letters, A for good, F for bad. The Special One is back, but it may not be the happiest of returns to Stamford Bridge and England for Jose Mourinho, both the Manchester clubs have new managers, Man United are always threatening, but City have looked very sharp in their pre-season tournaments. They have done a fantastic bit of business by providing a bit of competition for Petr Cech by signing Mark Schwarzer, who is 40, but a brilliant asset to have still. In defence, they have probably the best variety in the league, with 4 world-class centre backs and reserve in both full back positions. David Luiz has been linked with a move away, but for me he will stay put. Cesar Azpilicueta had a decent first season and looks like he could become one of the emerging talents in this stylish side. Quality is monumental in midfield, Juan Mata, Oscar, Andre Schurrle and Eden Hazard look to become the four musketeers, and then there is still Frank Lampard, Marco van Ginkel and Ramires who would walk into most sides. John Obi Mikel is not a bad player, but he really isn't good enough for this Chelsea side anymore considering the quality and Belgian yougster Kevin De Bruyne might be loaned out again. Up front, Fernando Torres and Demba Ba are the senior strikers, none hitting goals consistently. Victor Moses can play upfront and might be a surprise starter for the Blues. Romelu Lukaku wants a nother loan move away, but for me, he is easily already the best striker in this side. Also, there has been talk of hero Didier Drogba making a return either a s a coach or player with Jose Mourinho desperate for the deal to be done. 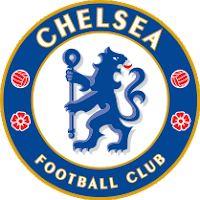 There is more competition in the title race than ever for Chelsea, Man City are looking very slick, Man United are always a handful regardless, and Arsenal are opening their wallets this summer so for this season I think Chelsea will comfortably finish 4th. PREVIEW of Chelsea for the 2013/14 season of the Barclays Premier League.